On May 5, 2011 the Bunk bed by Dorel Distribution Canada has been jointly recalled Dorel Distribution Canada, Dorel Asia, Health Canada and the United States Consumer Product Safety Commission (US CPSC). This recall involves natural pine colored bunk bed with model numbers WM1848R2 and WM1848R2C. The model number appears on a label affixed to one of the long bed rails. In Canada, only these two model numbers are affected by this recall. For similarly affected product purchased in the United States, consumers are referred to the posting by Dorel Asia and the US CPSC (see below). The wooden side rails that run from the headboard to the foot board and hold the bunk bed's mattress in place can split and cause the bunk bed to collapse, posing a fall hazard to consumers. At time of the recall neither Health Canada nor Dorel Distribution Canada has received reports of incidents or injuries related to the use of these bunk beds in Canada. In the United States, the US CPSC and Dorel Asia have received 23 reports of the side rails cracking or breaking, including seven reports of minor bruises or abrasions. You should immediately stop using the bunk beds and only use them as separate twin beds until they receive a free repair kit. You are instructed to contact Dorel Distribution Canada toll free at (800) 295-1980 between 8:30 a.m. and 4:30 p.m. ET, Monday to Friday in order to receive a free repair kit.You can visit the Dorel distribution website to determine if your bunk bed model is included in this recall. Approximately 21,700 of the recalled bunk beds were sold at Wal-Mart stores in Canada. Dorel Distribution Canada is no longer distributing these models of bunk beds. In the United States, approximately 445,000 units of these items were distributed. 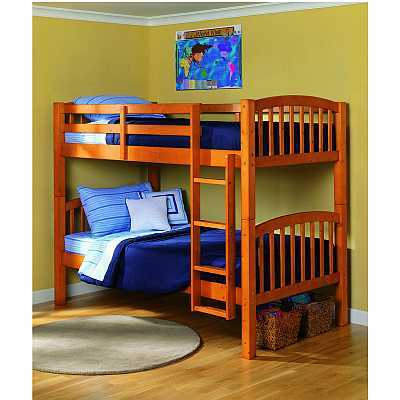 The recalled bunk beds were sold from March 2008 through December 2009 in Canada. These units were manufactured in Vietnam. The manufacturer is Dorel Distribution Canada of Ville St-Laurent, Quebec.